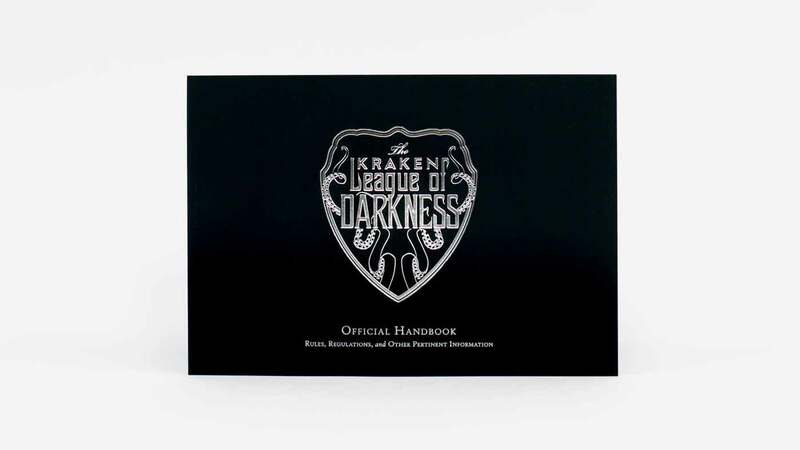 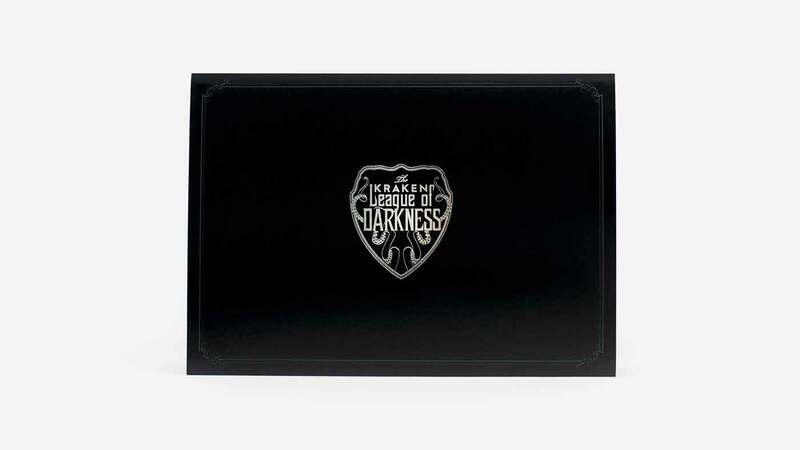 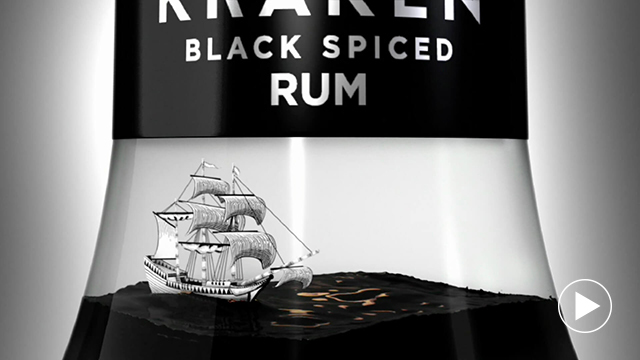 To launch THE KRAKEN we formed a world as dark and massive as the beast itself. 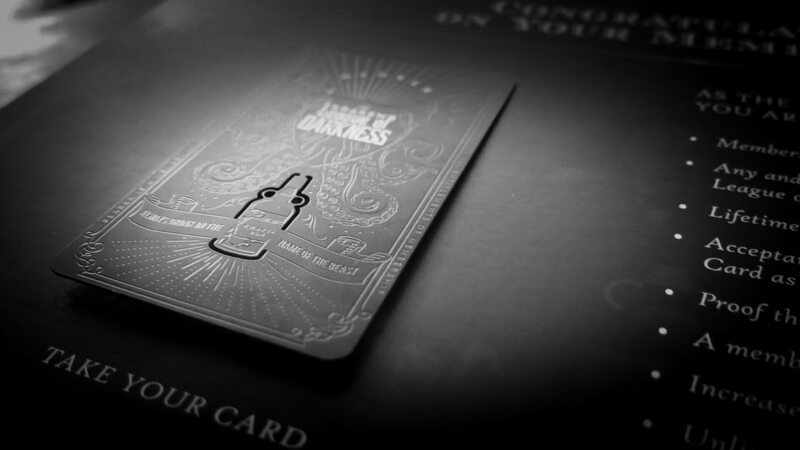 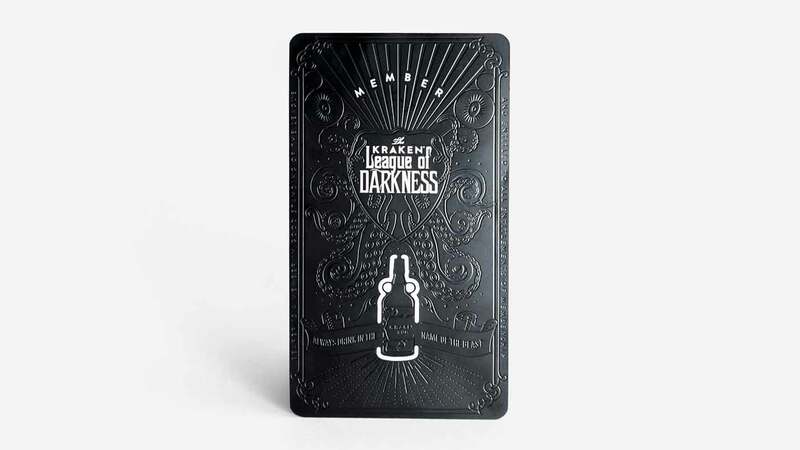 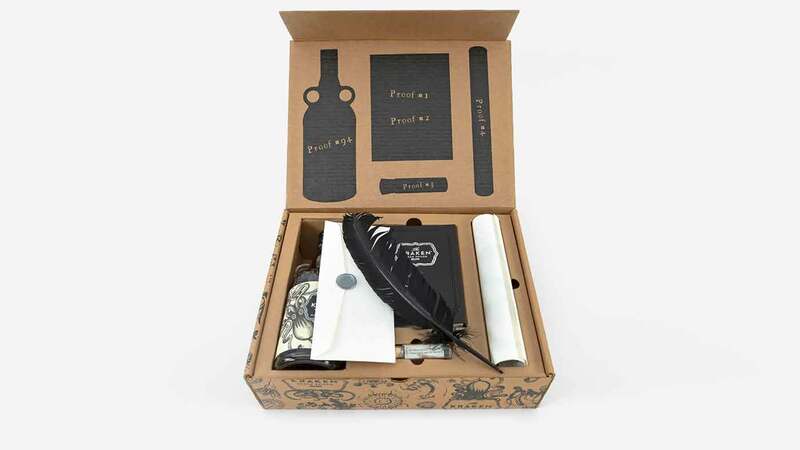 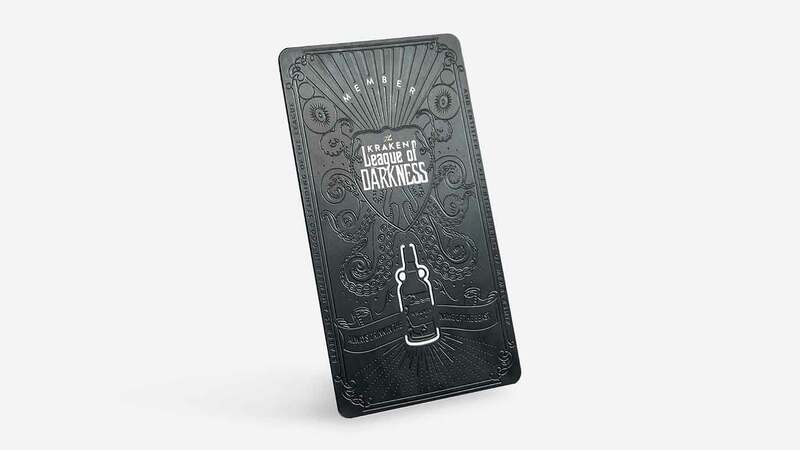 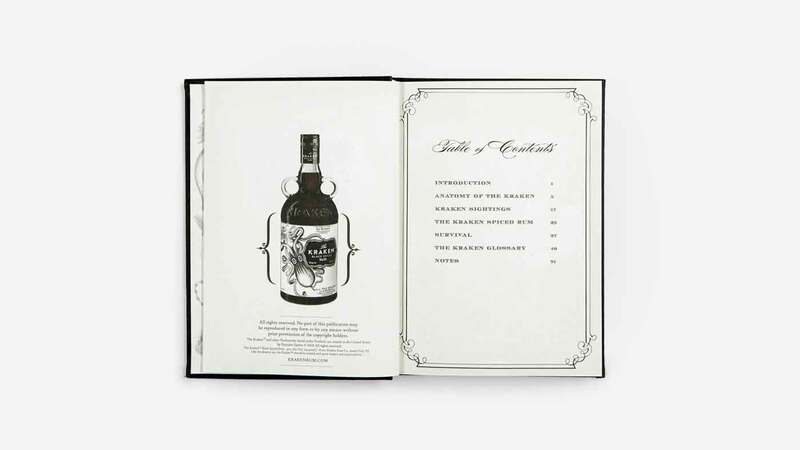 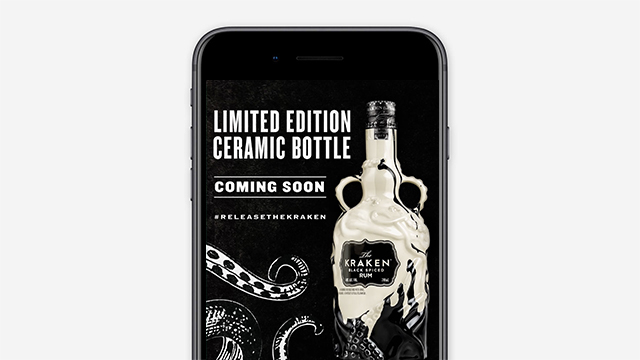 Using a range of mediums, we created a monster – turning people into fans, and a new product into the world’s fastest-growing rum. 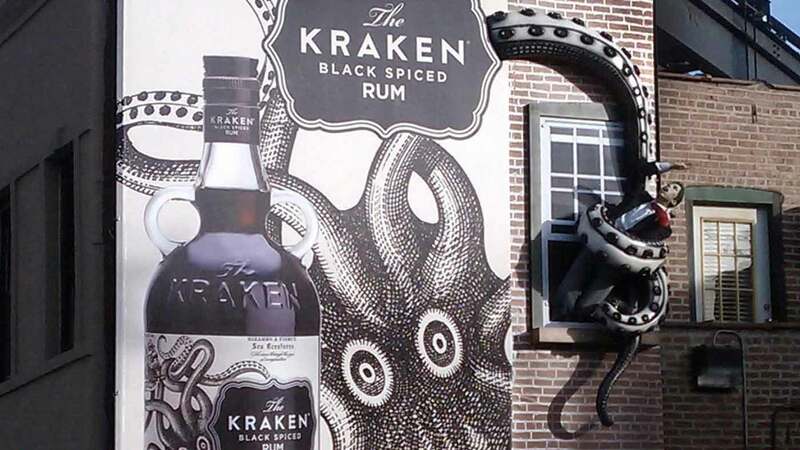 Deadpool’s Tim Miller directs as we Release The Kraken on the world of the real. 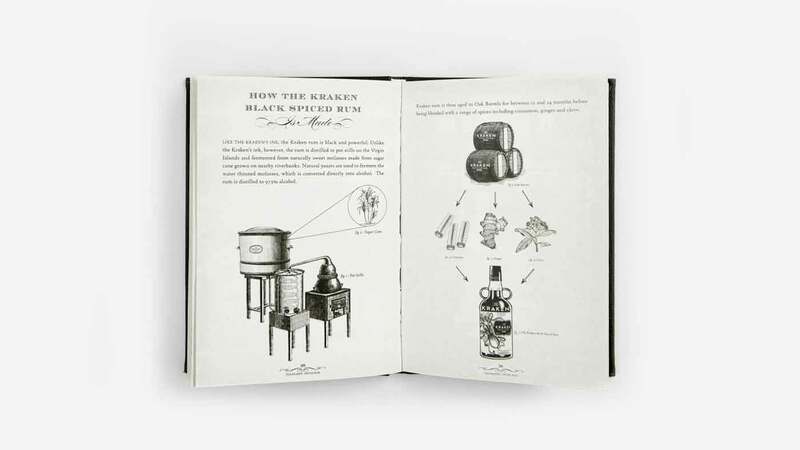 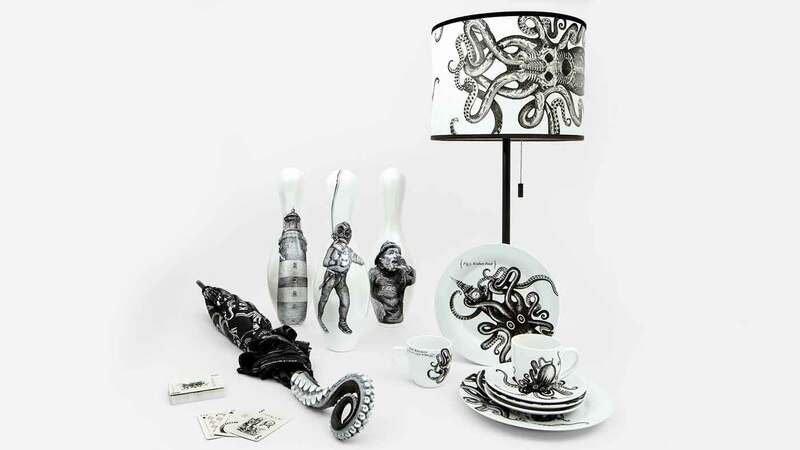 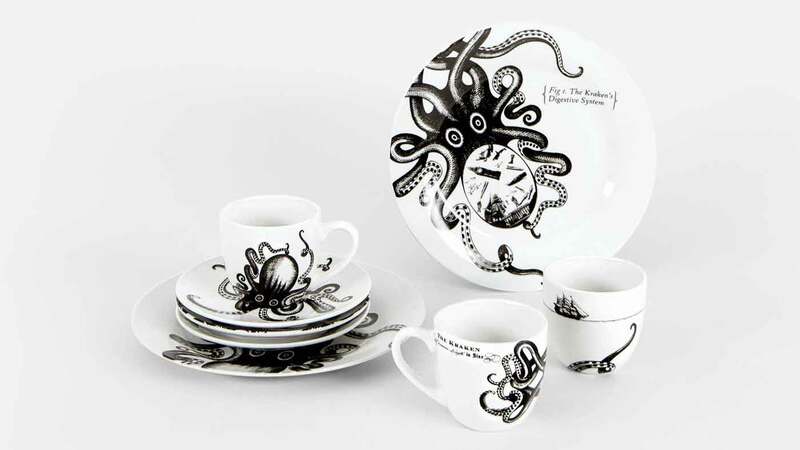 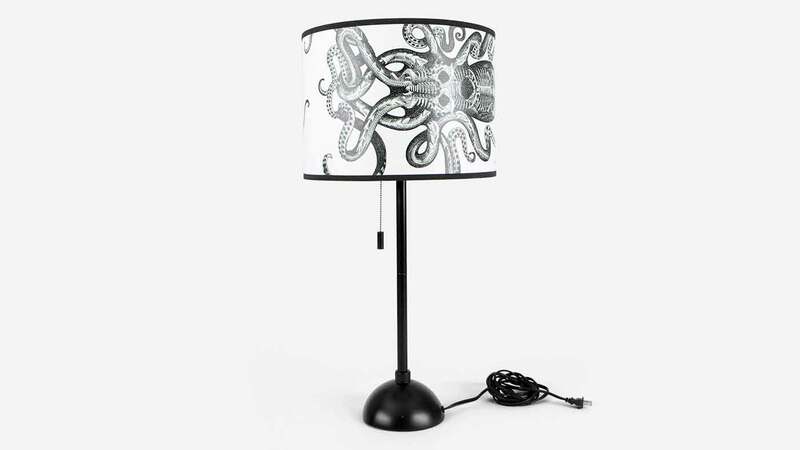 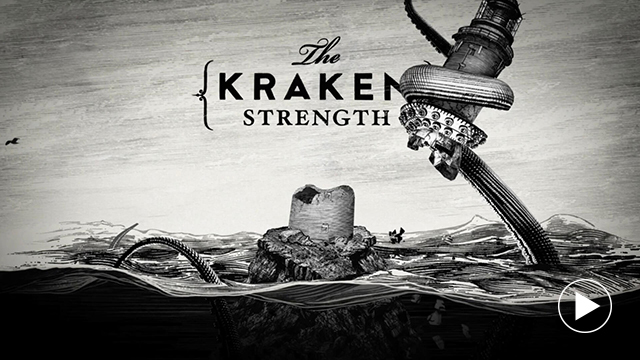 Animated by Adam Gault, this film series proved our scientific proposition: The Kraken is real. 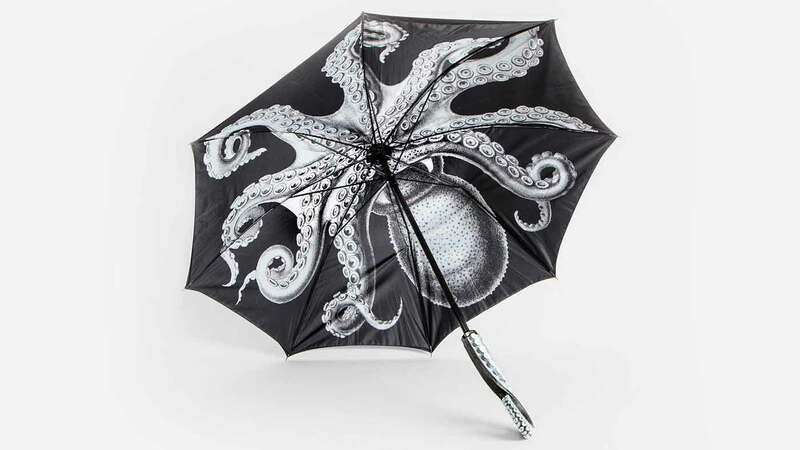 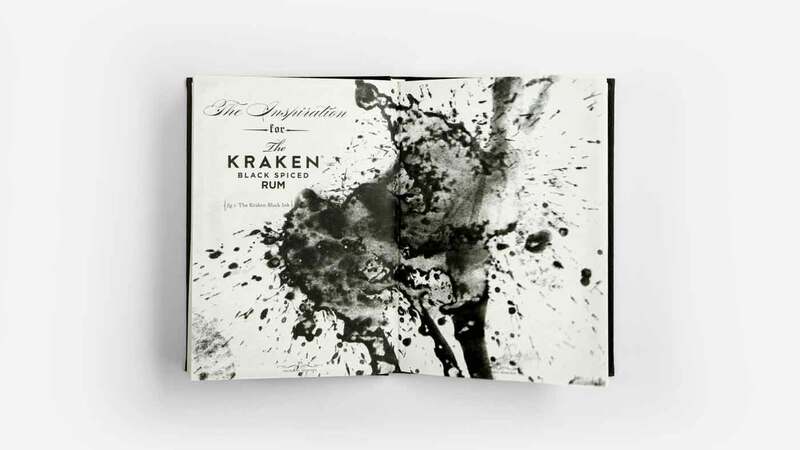 Shot underwater, The Kraken’s updated print look delivered the anti-hero the spirits world needed. 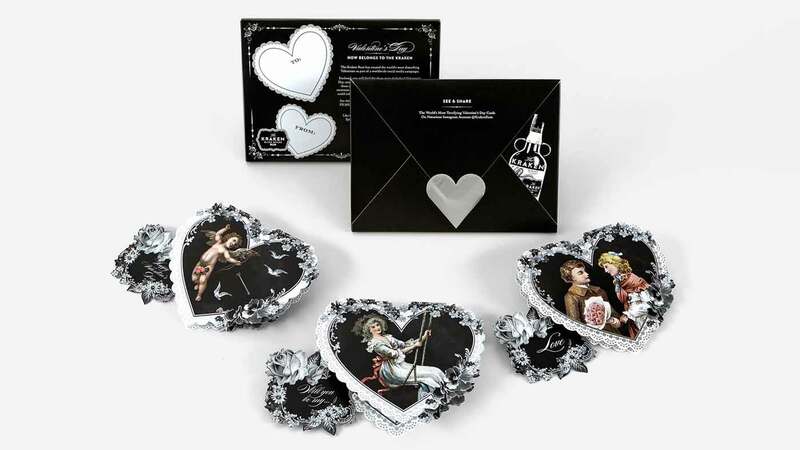 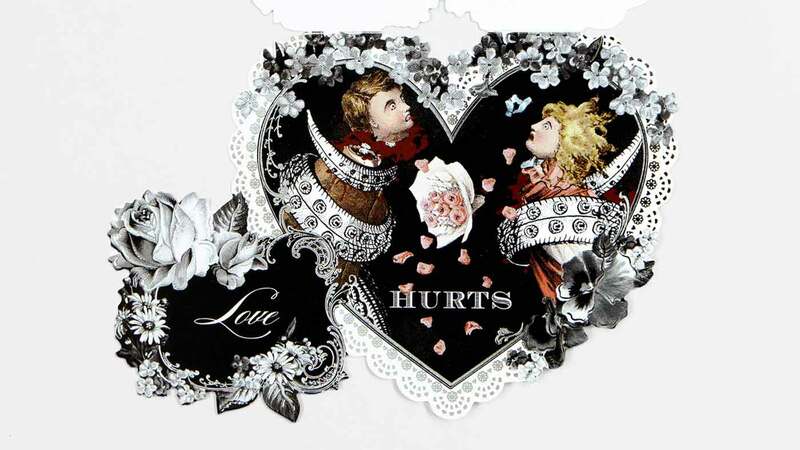 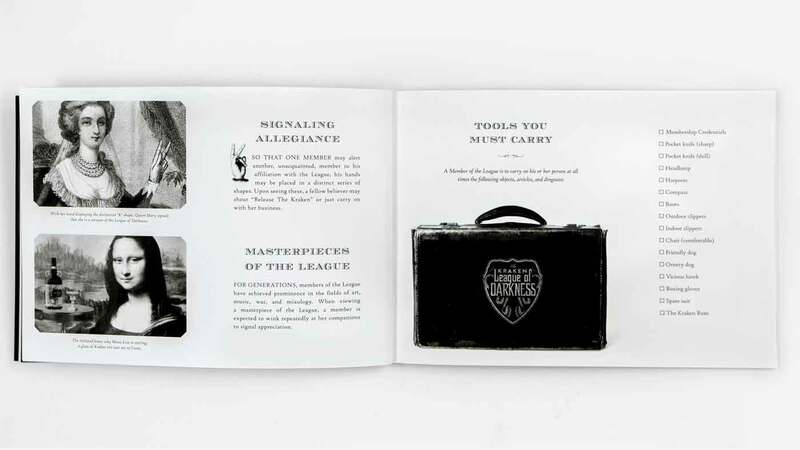 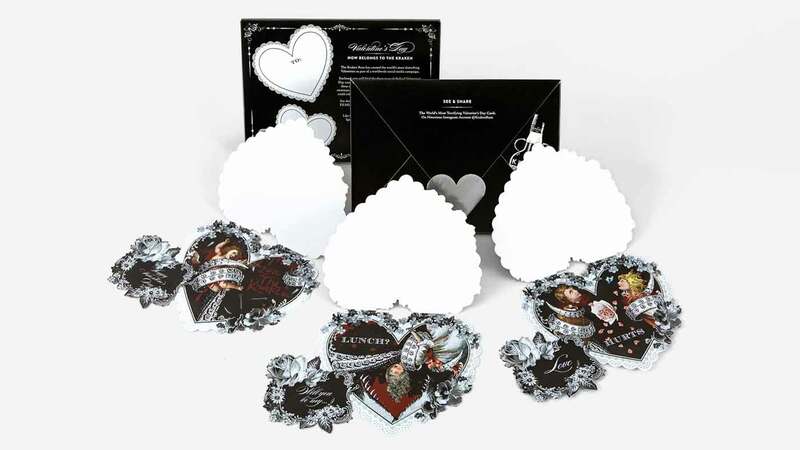 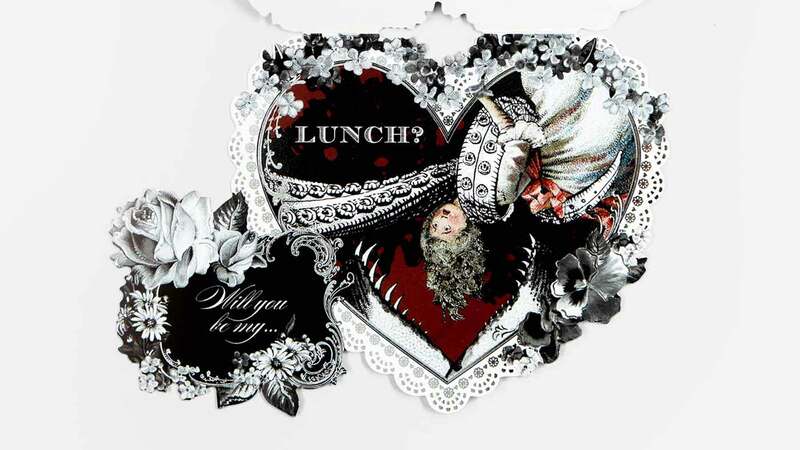 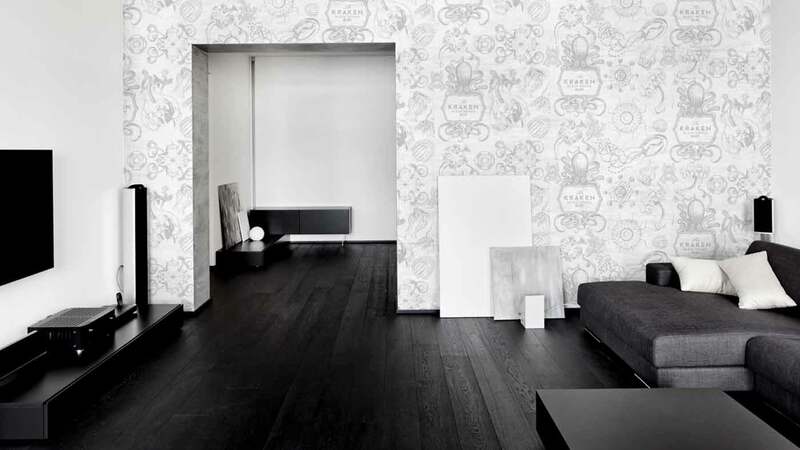 This series of three disruptive installations garnered tens of millions of earned media impressions. 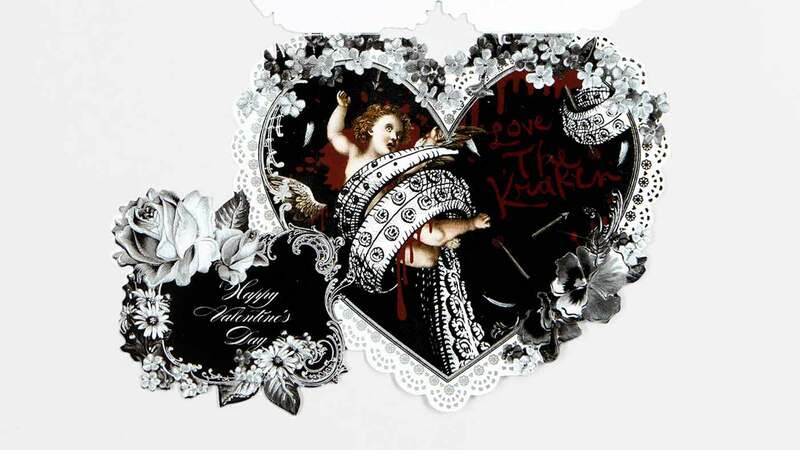 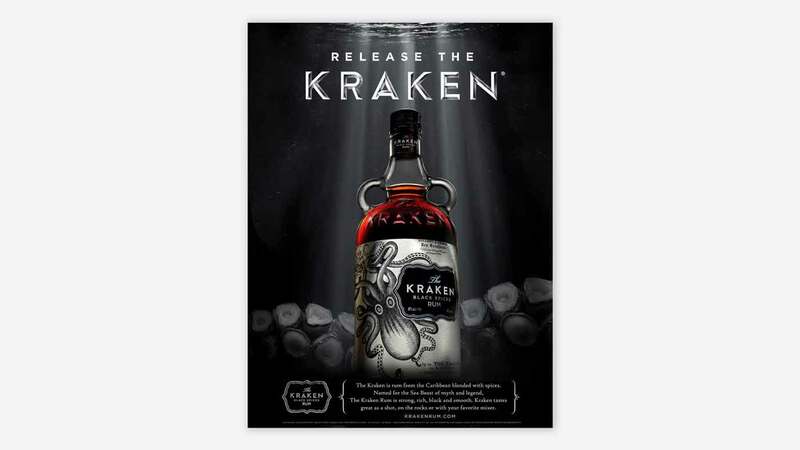 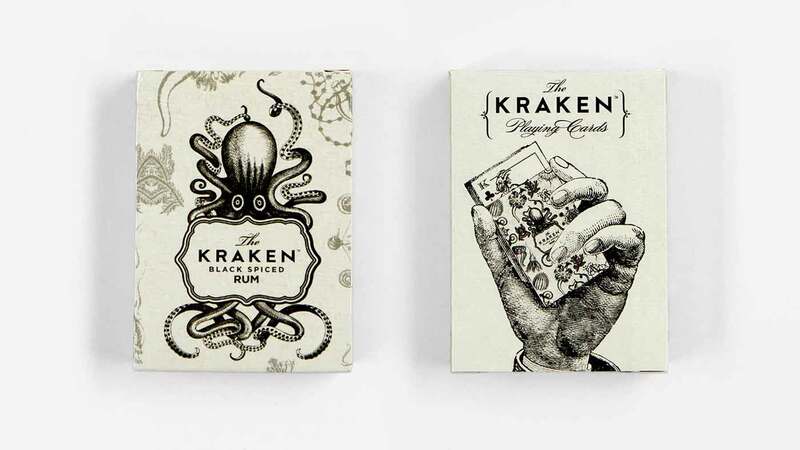 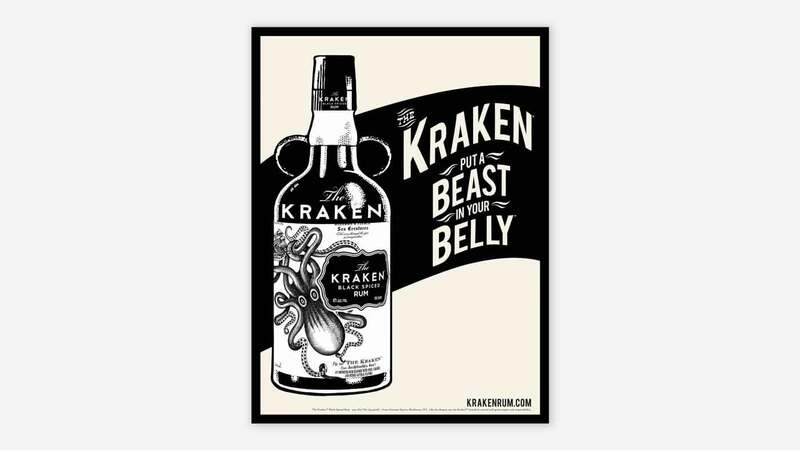 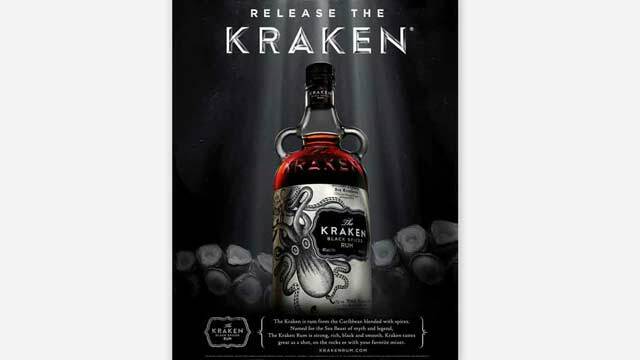 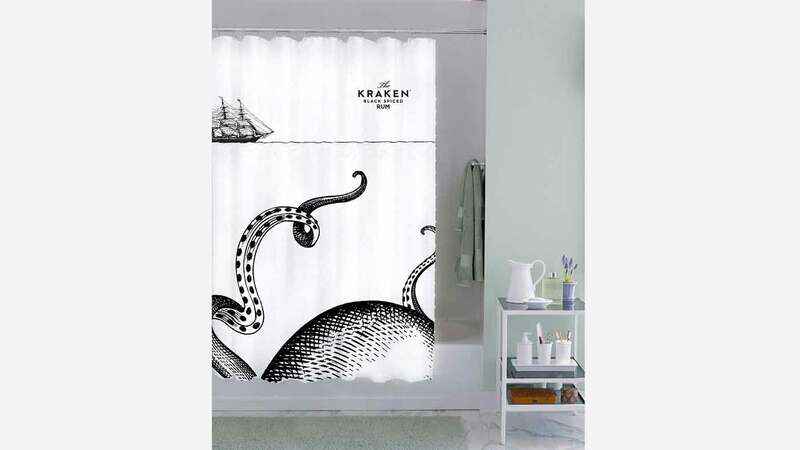 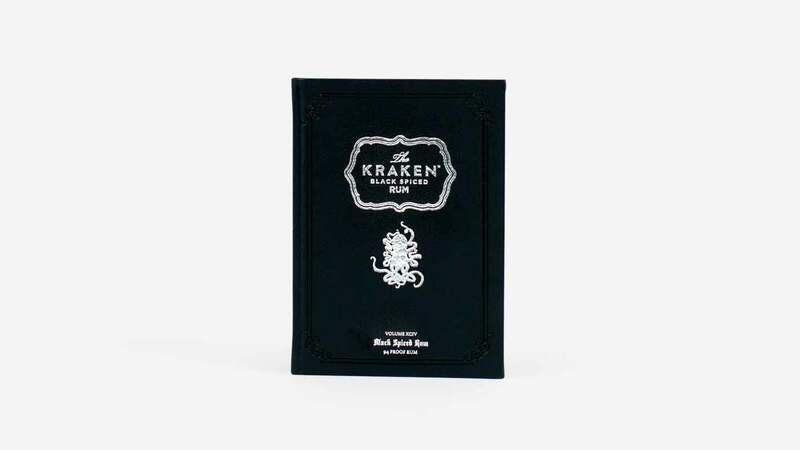 This series of documentaries introduced The Kraken to the world with a fully-formed wit, style, and point of view. 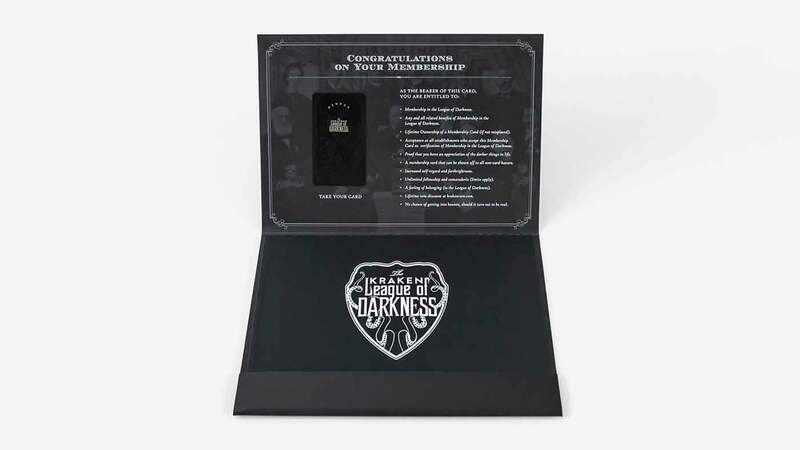 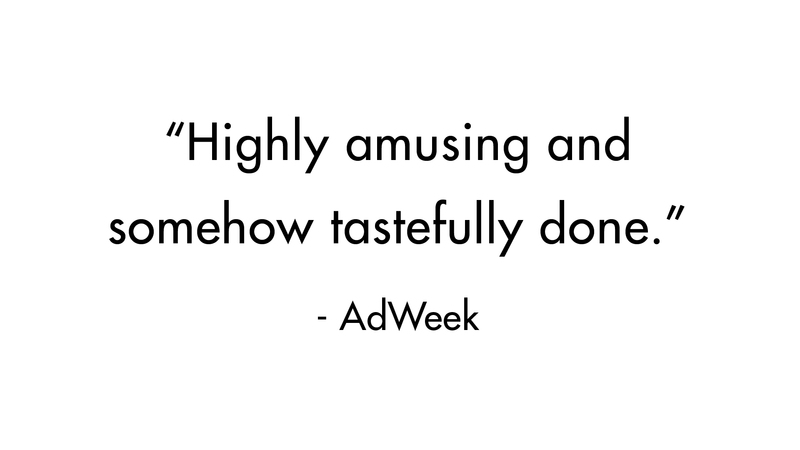 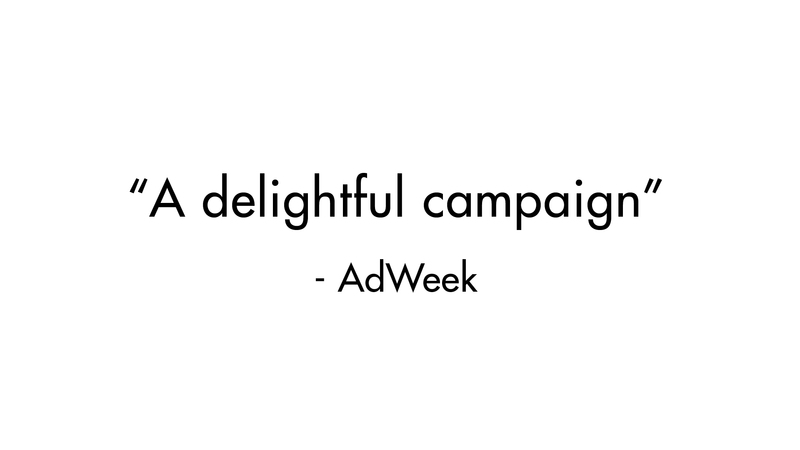 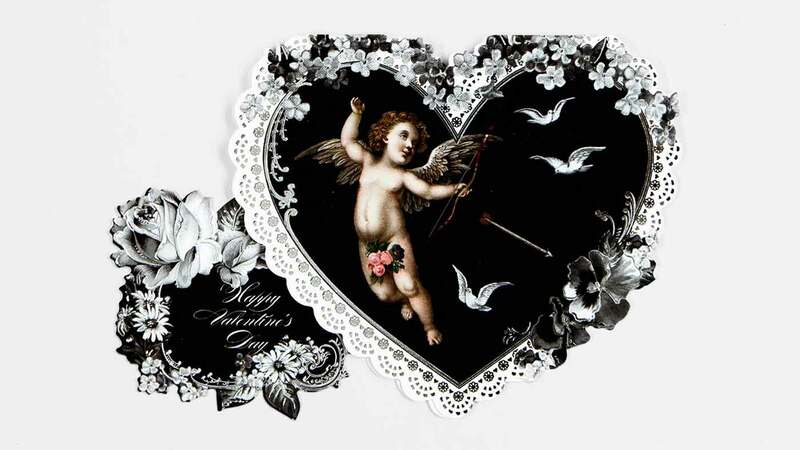 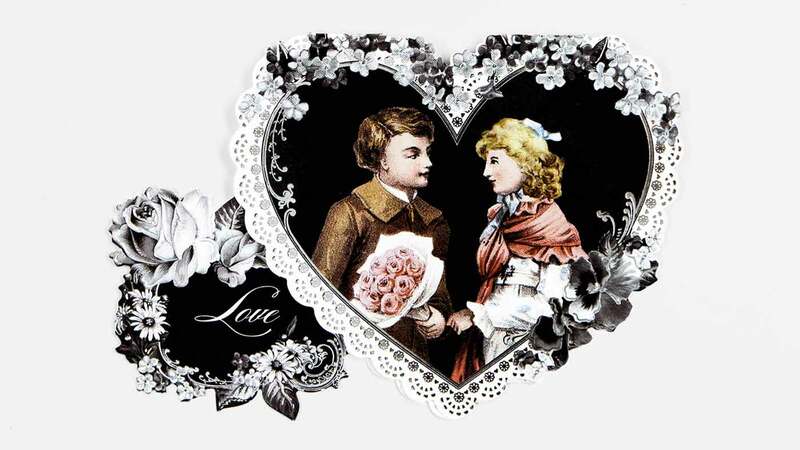 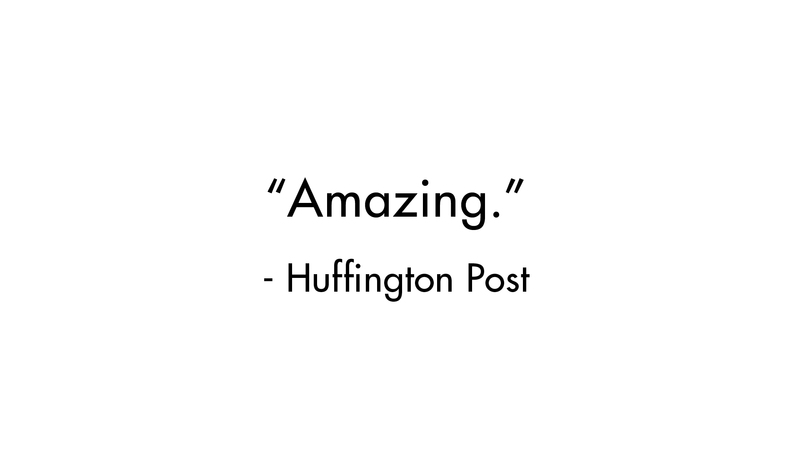 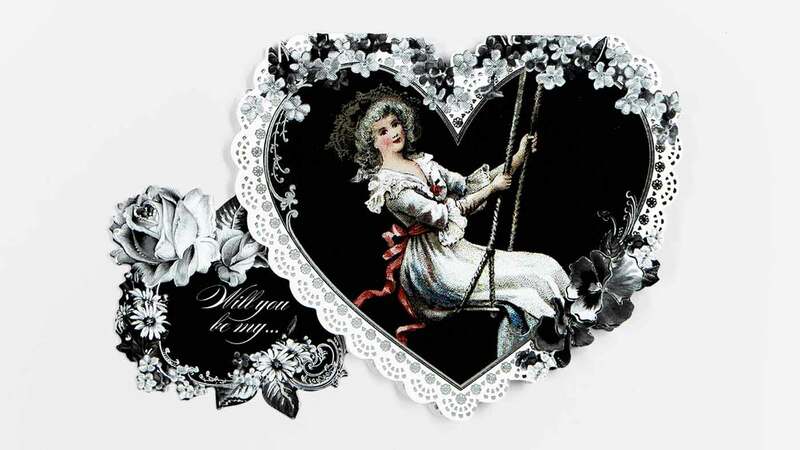 We owned the world’s sappiest holiday with the most brutal digital campaign of all time. 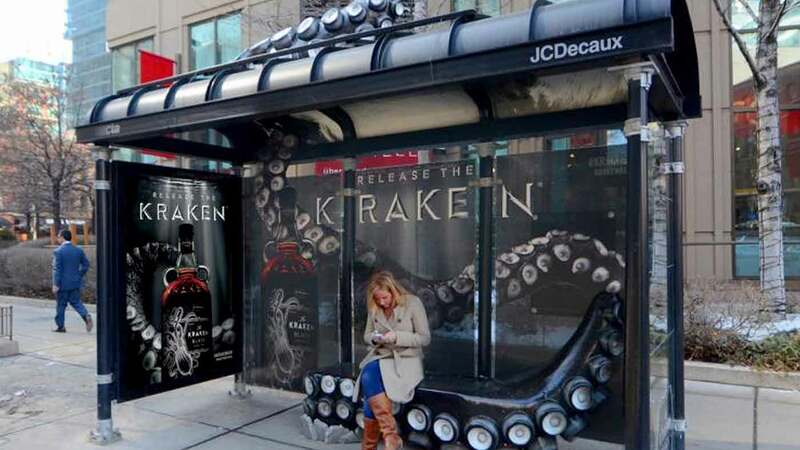 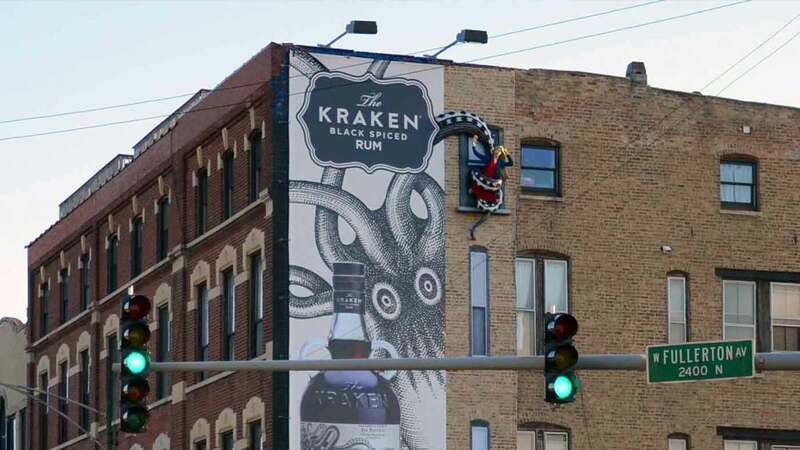 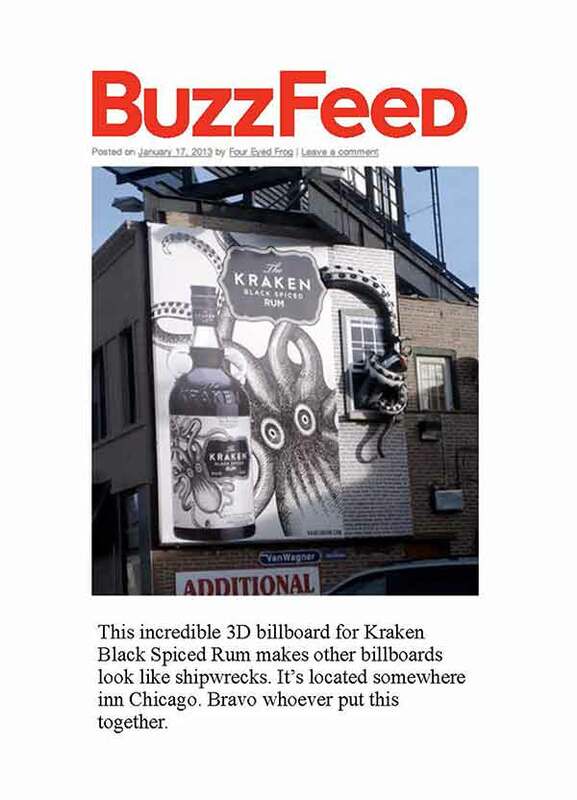 This Obie-winning installation gave commuters the chance to physically interact with The Kraken. 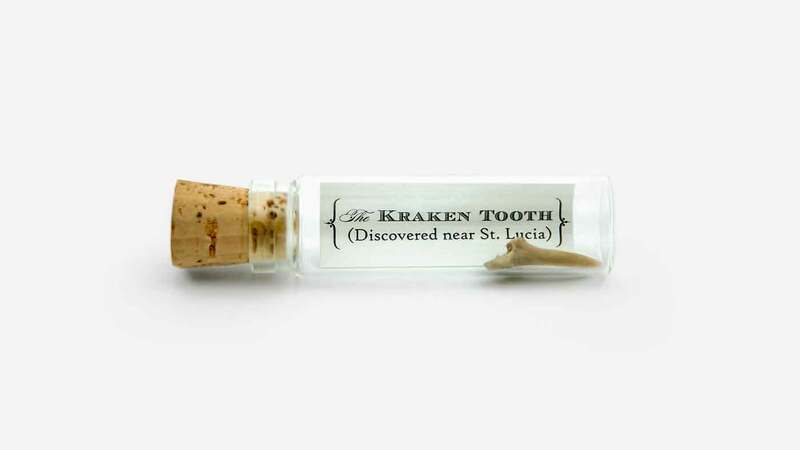 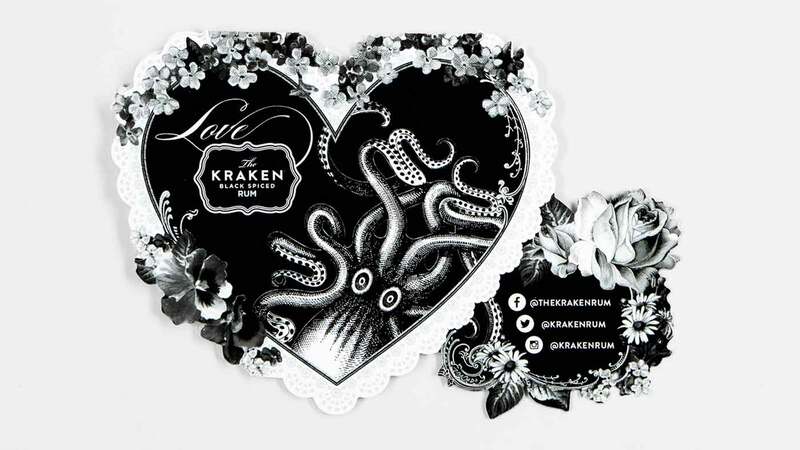 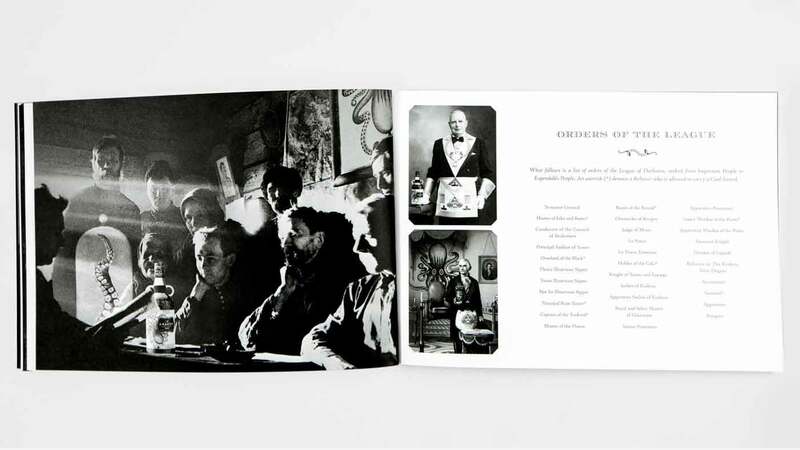 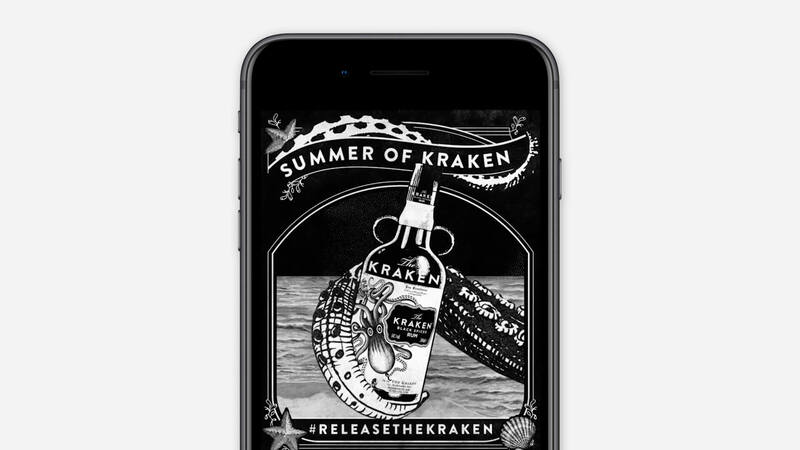 The Kraken’s take on vintage seaside postcards won over 26MM impressions on social. 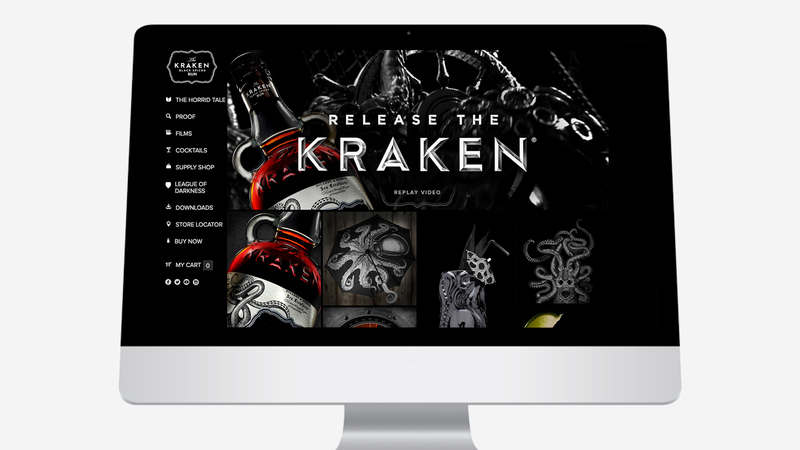 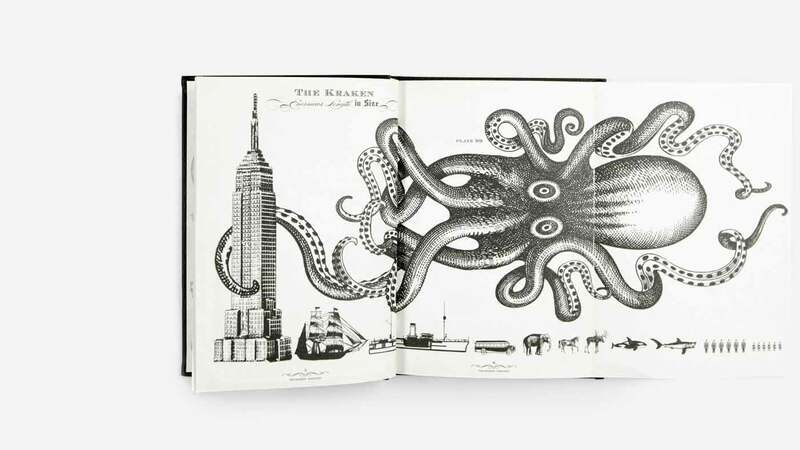 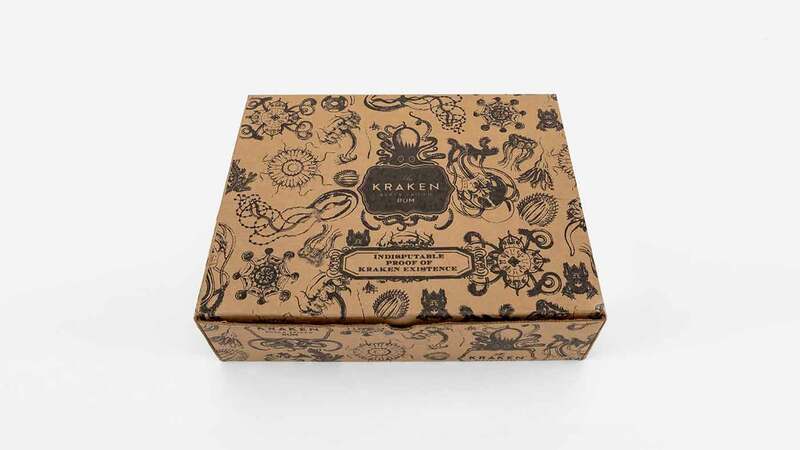 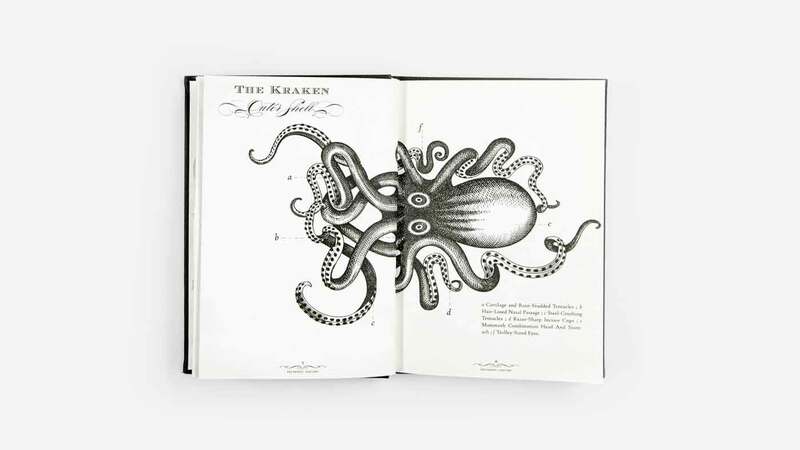 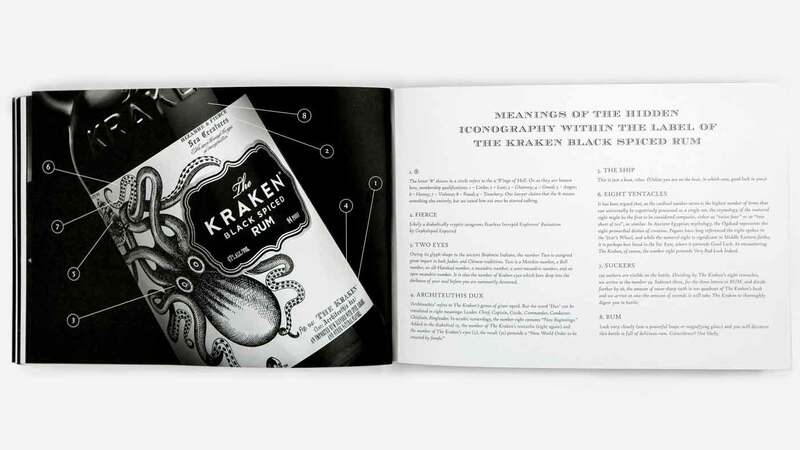 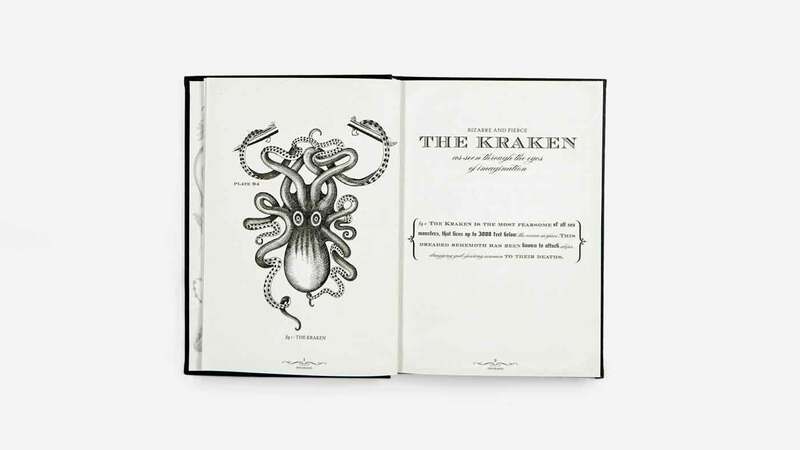 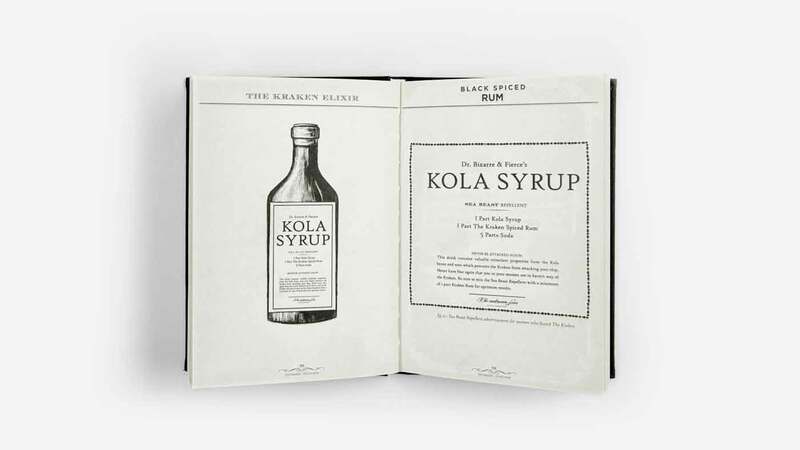 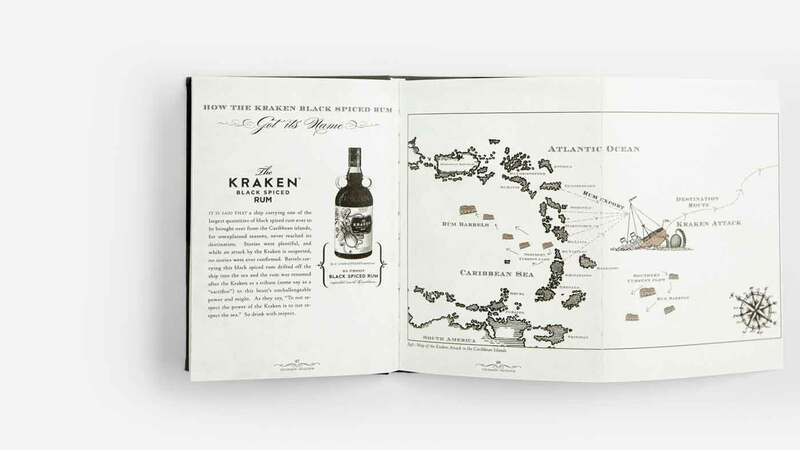 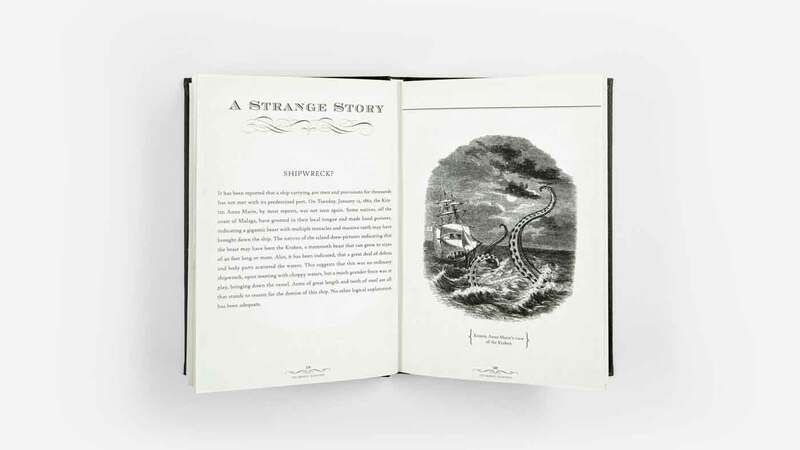 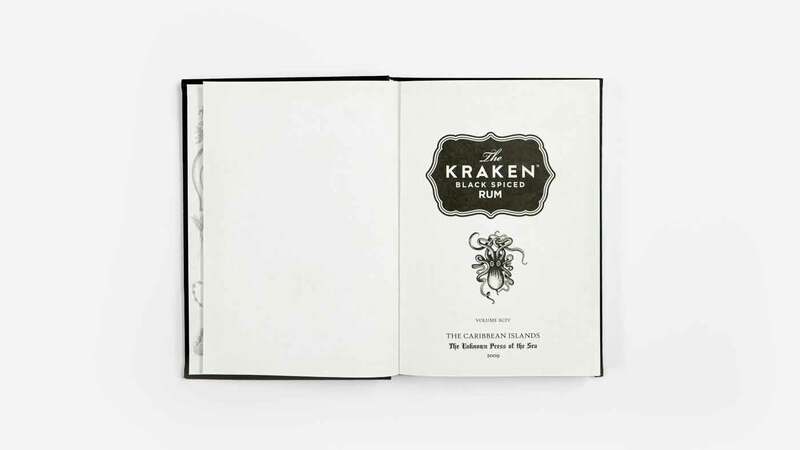 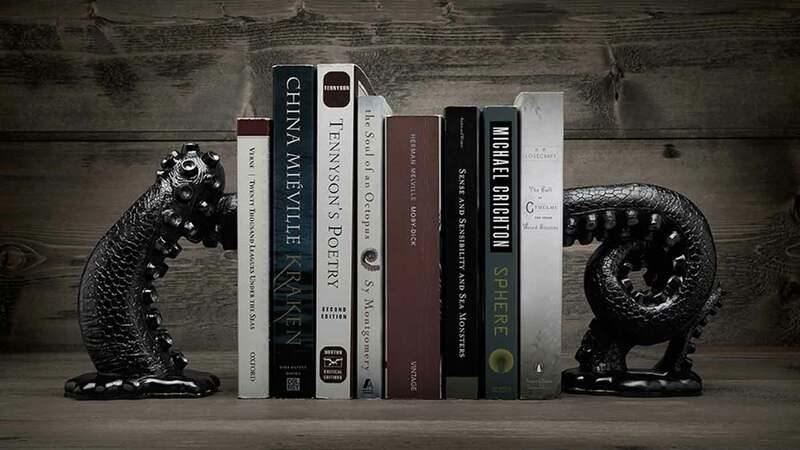 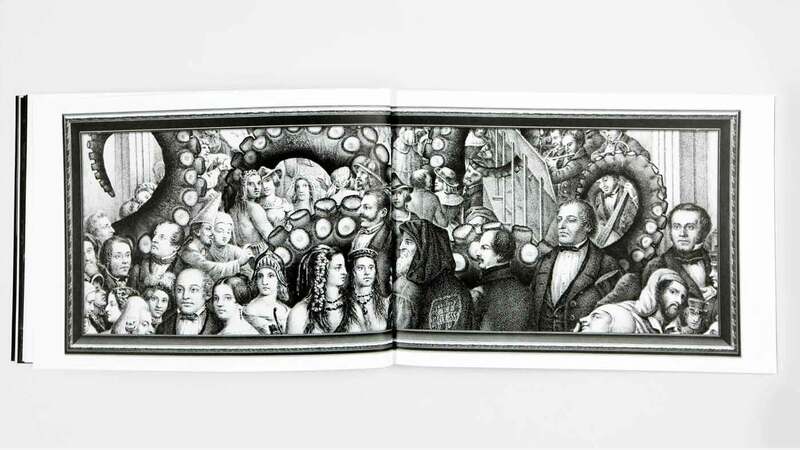 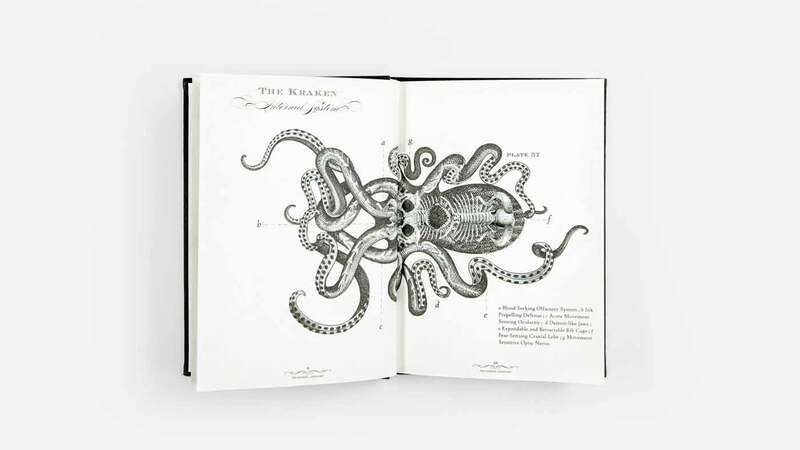 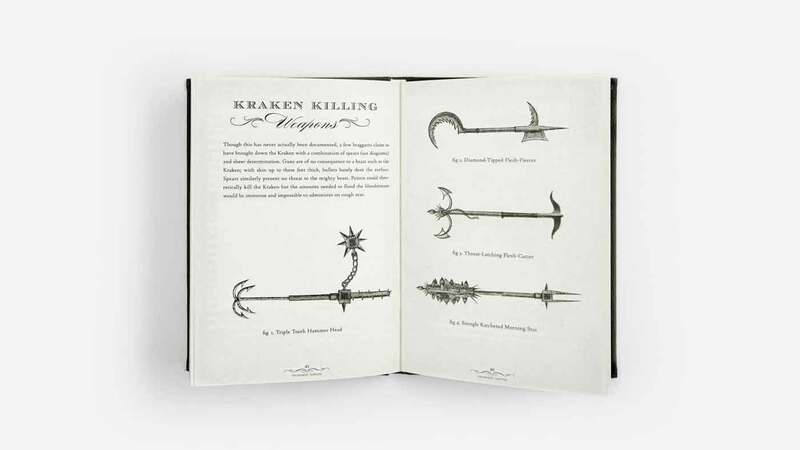 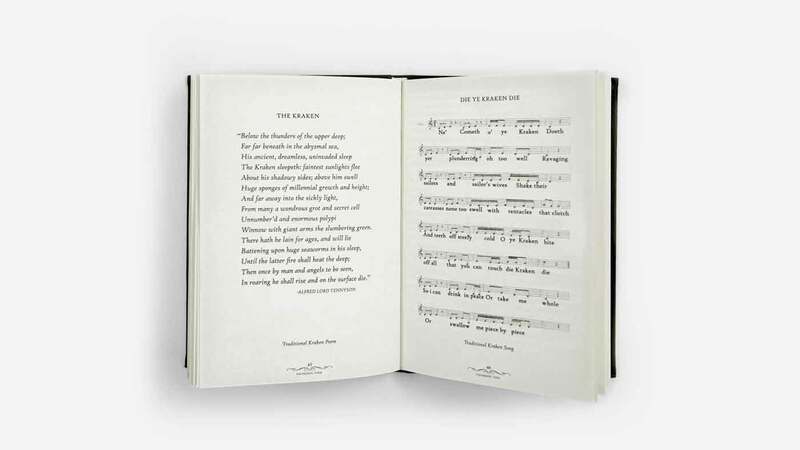 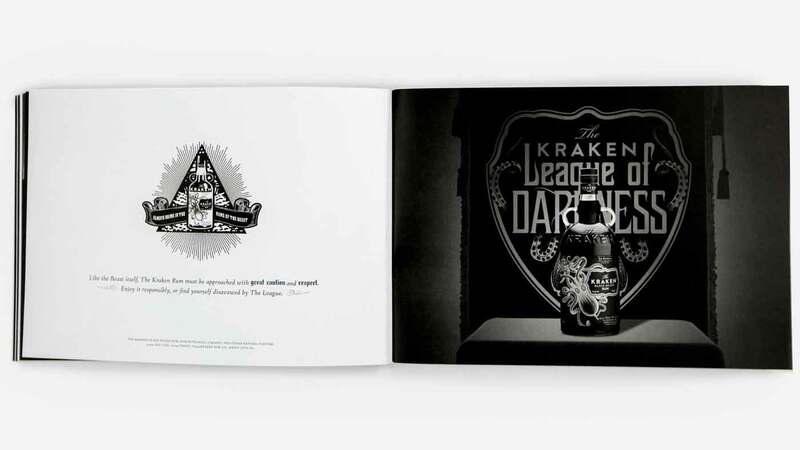 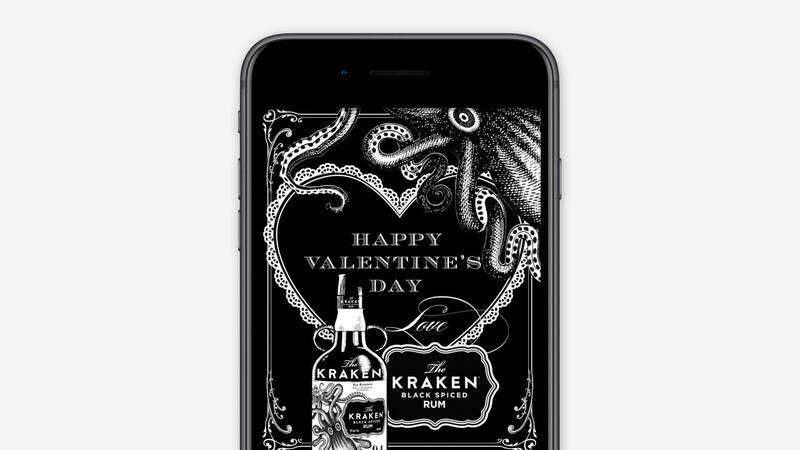 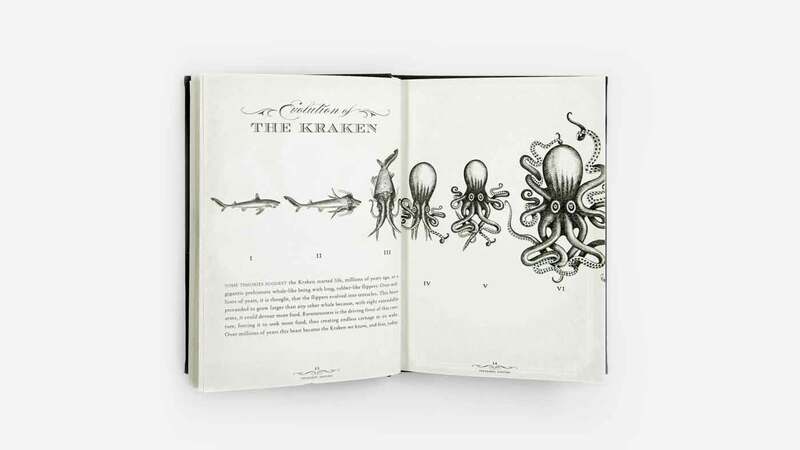 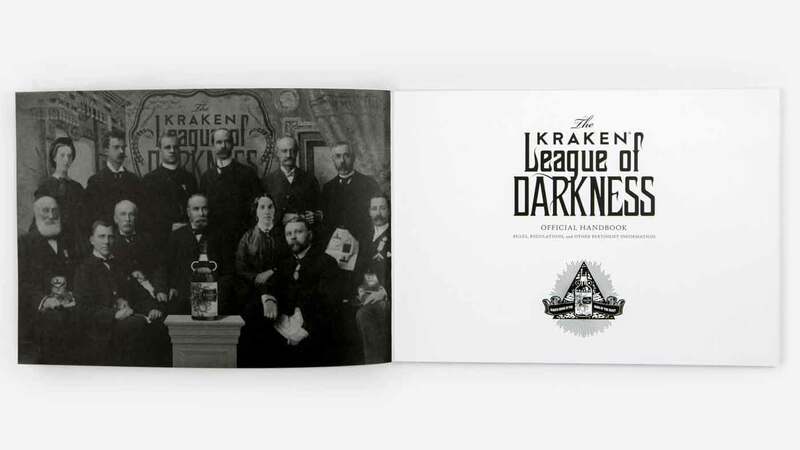 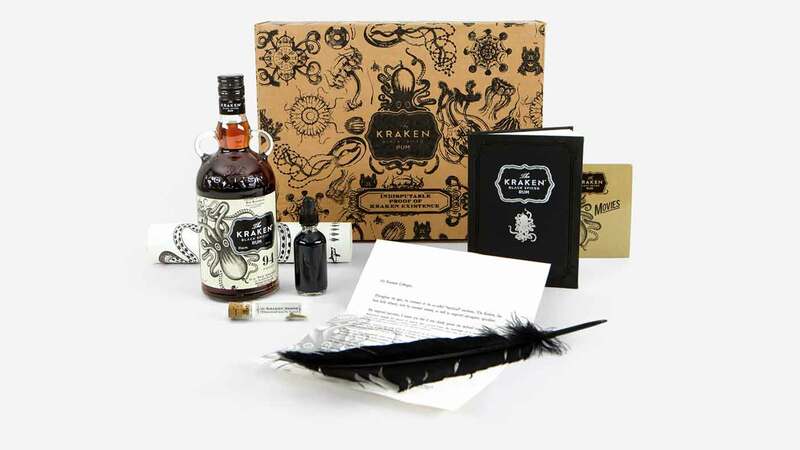 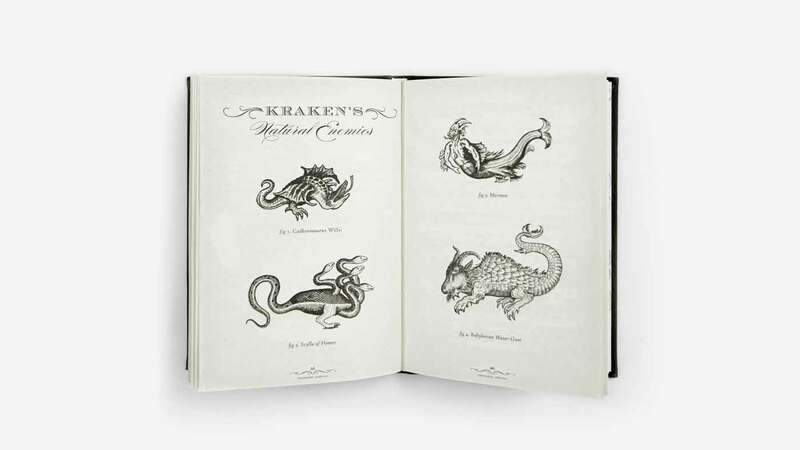 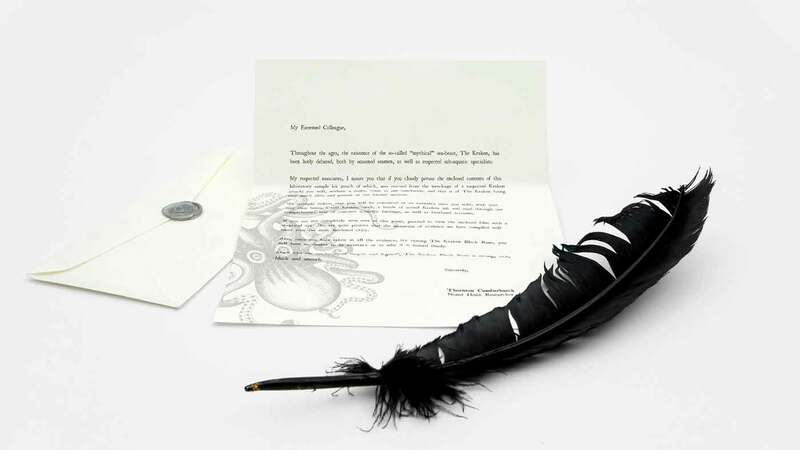 The Kraken website shows a brand world without limits, where content bursts off the screen. 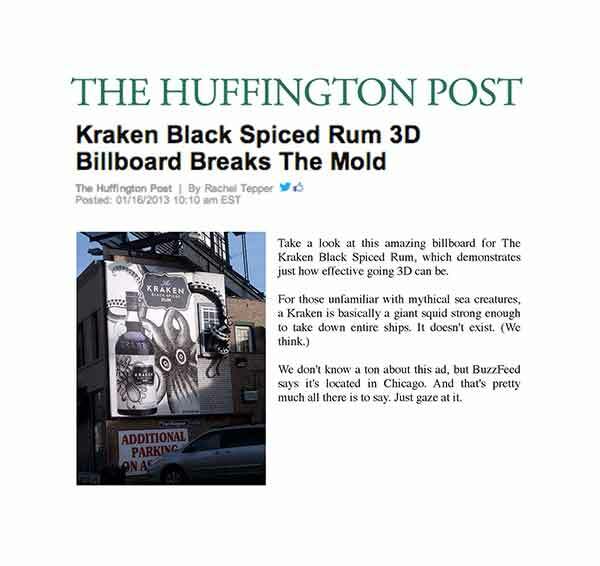 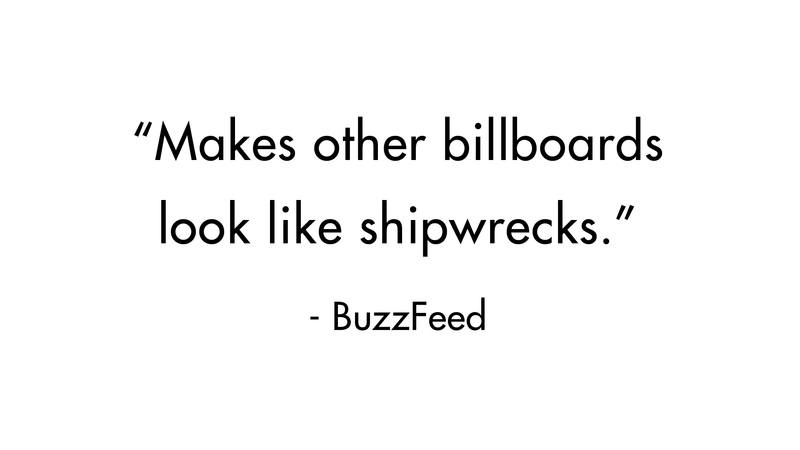 Our viral take on Christmas won 20MM impressions—and proved that nothing’s sacred in the depths. 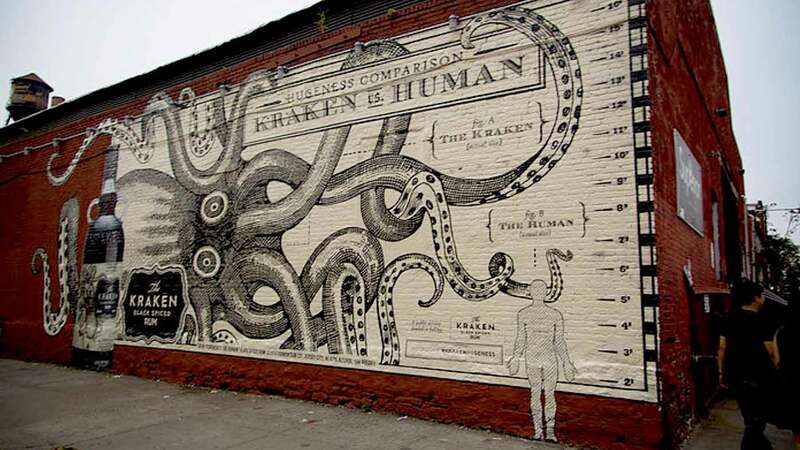 Thousands of fans Instagrammed themselves in front of this hand-painted Brooklyn installation. 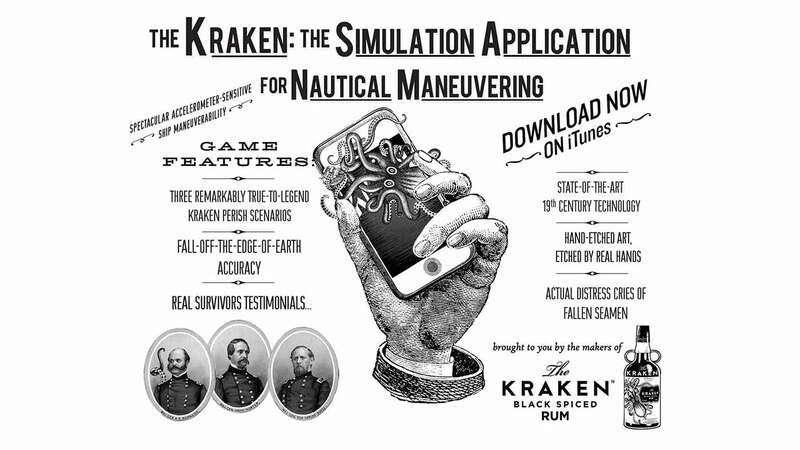 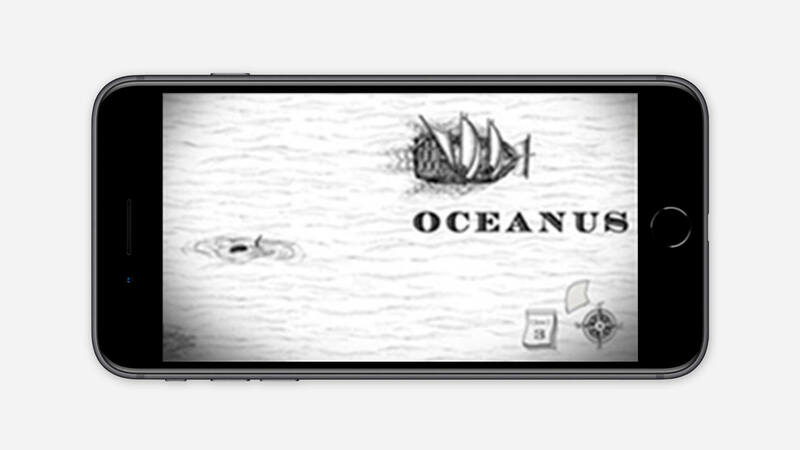 Downloaded over 60,000 times, The Kraken’s Simulation Application for Nautical Maneuvering is the pinnacle of 18th century app design. 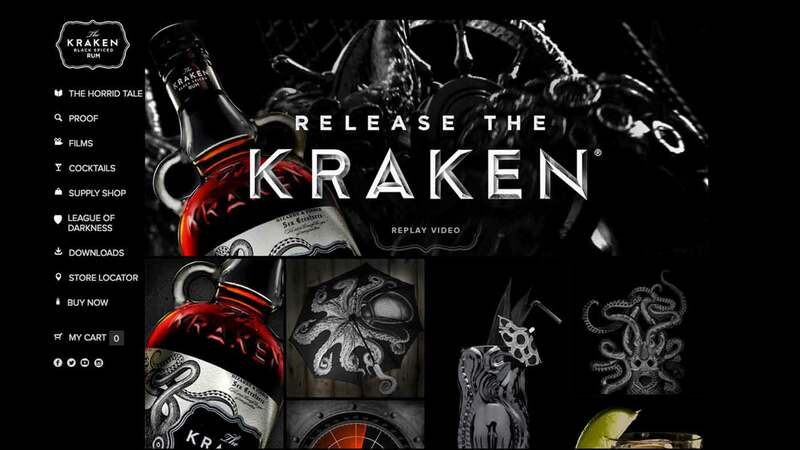 The brand’s first national TV spot brings viewers inside the iconic bottle to witness The Captain receive his brutal comeuppance. 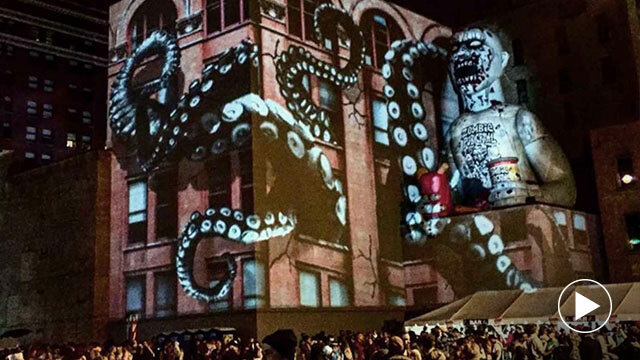 Upwards of 30,000 people attend the Zombie Pub Crawl in Minneapolis. 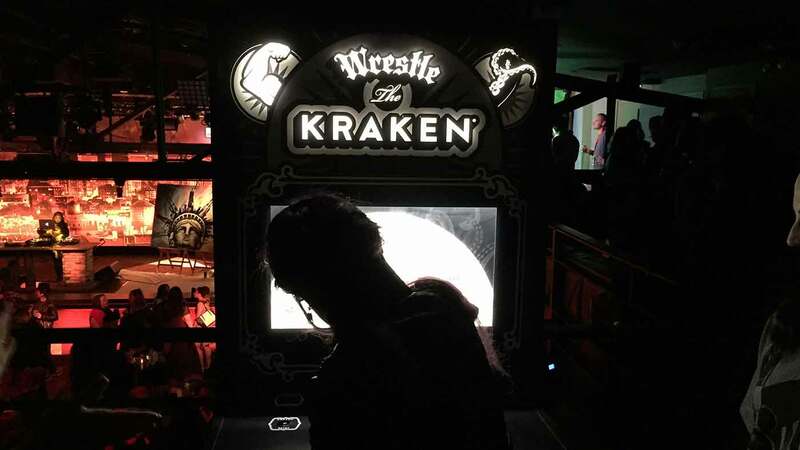 We activated this event in true Kraken style, by destroying the biggest thing we could get our tentacles on – with a brain-eating 3D projection.